96%+ of our graduates are in employment or further study six months after graduation. Visit Results 2018. 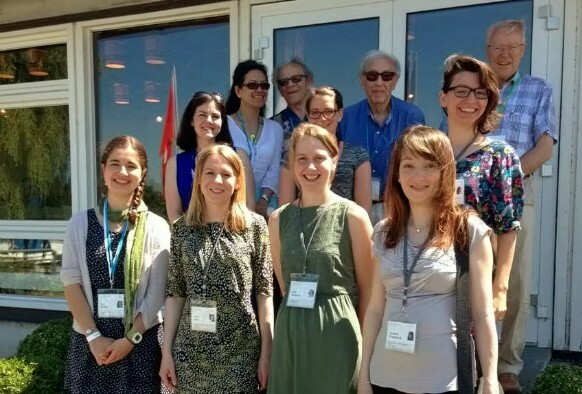 Dr Jo Fothergill, from the University’s Institute of Infection and Global Health, visited Lindau in Germany to take part in the 65th Lindau Nobel Laureate Meeting. “I never considered that I would ever be in a room with one Nobel Laureate. Yet in a small Bavarian town, I found myself in a room with 65 of them. This was an unusual conference – not like one I’ve ever been to before. The meeting speakers comprised of Nobel Laureates in Chemistry, Physics and Physiology/Medicine and the delegates were 650 young scientists from around the globe. Through attending the lectures, there was a lot of advice for young researchers. A key theme from many of the Nobel Laureates was to identify your goal and focus on this throughout your scientific career. A healthy disregard for accepted wisdom, a little faith and an enjoyment of gambling was advice given by J. Michael Bishop. The career path (or lack thereof) facing young scientists is clearly an issue worldwide. It was heartening to hear that many of the Nobel Laureates were sympathetic to this issue whilst recognising that academia has a birth control issue, producing many scientists that cannot all be supported within academia. Throughout the week there were many lectures that grabbed and inspired me. From my own background in molecular microbiology I really enjoyed the lecture by Hamilton O Smith on reducing genetic functions of a bacterial cell down to the lowest number of genes possible. This led to his team generating an artificial chromosome of approximately 450 genes. This is very different to the bacteria I work on which harbours 5-6000 genes. Robin Warren described his journey changing the world view of Helicobacter and on disbelieving reviewers he stated: “If you’ve got something really new, there are no peers to review it”. The story of Helicobacter is one that I have been very familiar with and have worked on as an undergraduate. It was fascinating to see this through his eyes and the belief that he had in the face of the disbelief of others. Ada Yonath was a real inspiration, both as a character and a scientist. She is a strong female role model and yet appears to have maintained humility, enthusiasm and a family life. Her work, based around the ribosome but now moving into using this knowledge to inform antibiotic drug design was stimulating. This is such an important area of research and it was great to see that the Nobel Laureates continue to tackle the big questions in science. The lectures allowed me to view the more unfamiliar fields of physics and chemistry through the eyes of the Nobel Laureates rather than my own uninformed eyes. However, it was not only the Nobel Laureates who inspired me during the week. I got to meet so many young scientists from around the world in a variety of different fields. Luckily, there was a bit of time to relax and a few of us were taken out for a sailing trip by some locals on the lake. Everyone was so friendly and clearly enjoyed the return of the conference each year. A more in depth review of the meeting written by Jo is available to read on the Institute of Infection and Global Health’s blog.